London, UK: If you went to design a school (a good design school) a typographer must have lectured you at some point, and if that’s the case, you’ll know how methodical and passionate they are about their work. Creating typography is like building a Swiss watch, designing a spaceship and composing an opera at the same time. That’s why it is heartbreaking when it gets overlooked as it often happens with the untrained eye. 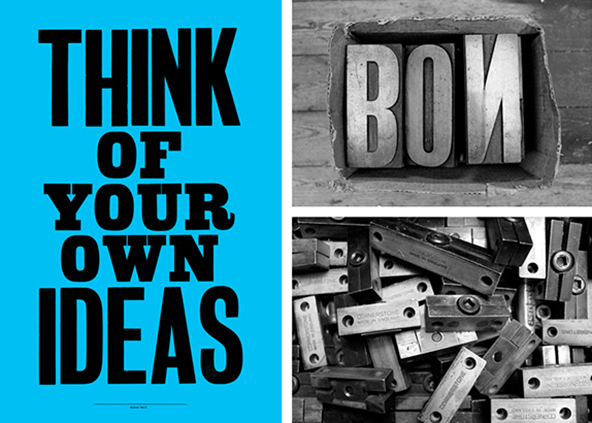 But a graphic design geek, like myself, can’t help but have a hisptergasm over the work of a talent such as Anthony Burrill. His name came to my attention when I came across an article about his collaboration with the Print and Paste project. Reading it was like remembering a dream – Eventually, I realized that I had known his work for a long time. 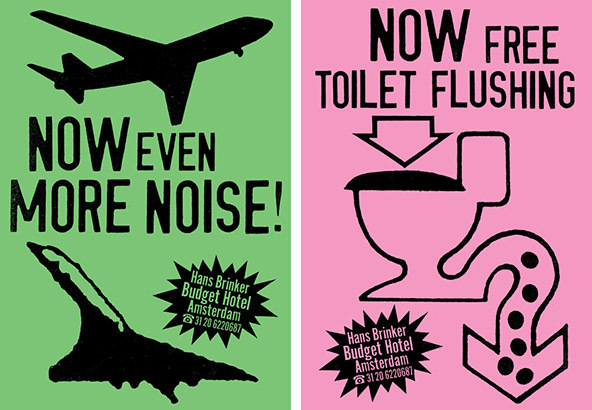 Burrill is mostly known for his minimalistic, straight-to-the-point (and often times ironic) message posters, which have ended pretty much everywhere, from Tony Blair’s office to tattoos. His types are often worked with old wooden blocks (sometimes up to 60 years old), which give them a one-of a kind hand-made feel to them. Burrill has gained the respect of his peers not only because of his love for the traditional techniques, but also for his integrity and work ethic. In 2010 he collaborated with Happiness Brussels to create posters using a screen-printing technique with oil and sand collected from the beaches of the Gulf of Mexico at the time of the spilling disaster. 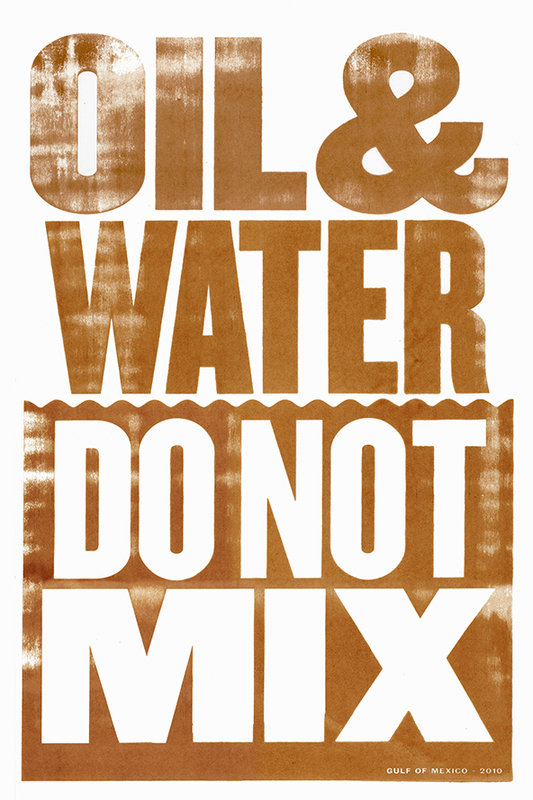 The proceeds from the Oil & Water do not mix poster went to the Coalition to Restore Coastal Lousiana organization. If you’re in or anywhere near Manchester then you’ll be able to see Burrill’s latest work live and for free at Lower Ormond Street just off Oxford Road. The billboard North & South, which is part of the Print and Paste project, was a collaboration between Burrill, Liam Hopkins of ‘creative services studio’ Lost Heritage and Dave Sedgwick. The piece will be exposed till the end of February. Printsome are a creative, online t-shirt printing UK company offering custom workwear, screen printing services in Bradford , personalized bags in Edinburgh and much more everywhere in between. Everytime you read a cool article and forget to share it a t-shirt printing pixie dies. Your share counts.